behind Romegialli and Baroni fields are open. 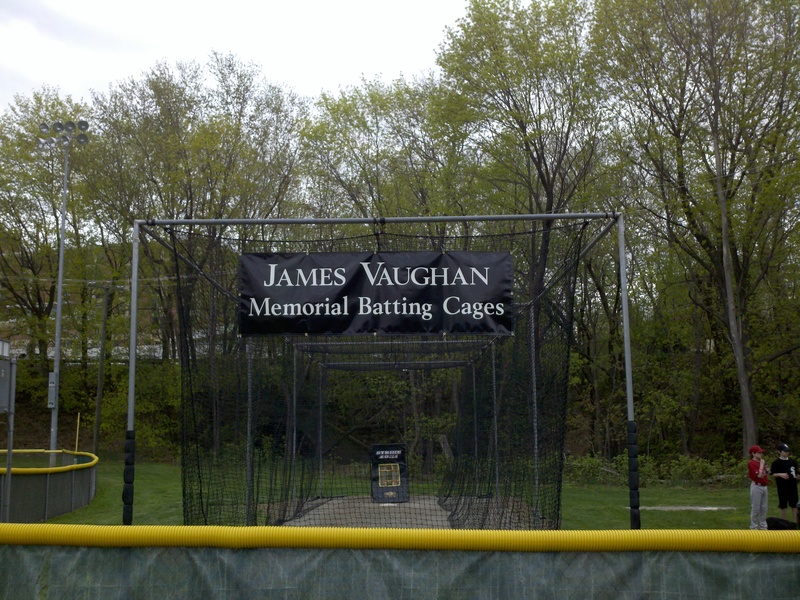 The batting cages can be reserved on a first come first serve basis. Reservations can be made by submitting the Cage Reservation Form below. Open the form, enter the password provided, fill out the form and hit submit. Your reservation request will be automatically emailed to the league for processing. Reservations will be placed on the Master Calendar and Team Schedule. Reservations do not automatically show up on the Calendar/Team Schedule. They are first reviewed to ensure there are no conflicts with games or earlier requests. The batting cage reservations will be updated daily, if time permits. So, there may be times where you reserve what appears to be an open slot and that slot has already been reserved by another manager. In this case you will be notified to select another time and/or day. MAJORS, AAA & AA teams ONLY are allowed to book cage time. A team can only reserve 1 cage for 1 hour Monday through Friday, or additional time at the discretion of the league. A team can only reserve 1 cage for 2 hours or 2 cages at the same time for 1 hour on Saturdays and Sundays. Teams scheduled to play games at Hubbard Park are guaranteed cage time on their game nights or days. Depending on the Saturday schedule from week to week, cages may not be available during certain time slots. You will be notified if your request conflicts with a game on the schedule. Slots marked as *unavailable* are already reserved for pre-game activities. Reservations come with access to the pitching mound beside the cage. It is up to the manager to have his player(s) at the cage at their allocated time and out of the cage 5 minutes before the next team's reservation. Cages can only be reserved 2 weeks in advance. Please note: Managers who overbook the cages may be denied access. If you cannot make a previously booked time slot, please delete the event from your schedule.